Visit popular national parks like Yosemite, especially in the peak season, and it can feel like you’re in a Disney-fied version of the Great Outdoors, with swarming crowds, tour buses, and all the ensuing chaos. Yosemite’s visitors spiked from some 4.2 million in 2015 to more than 5.2 million in 2016, and though the effect of the proposed rate hike at national parks, including Yosemite, remains to be seen, it's safe to say its magnificent rock formations and more than 700,000 acres of designated wilderness will still attract a sizeable number of visitors. 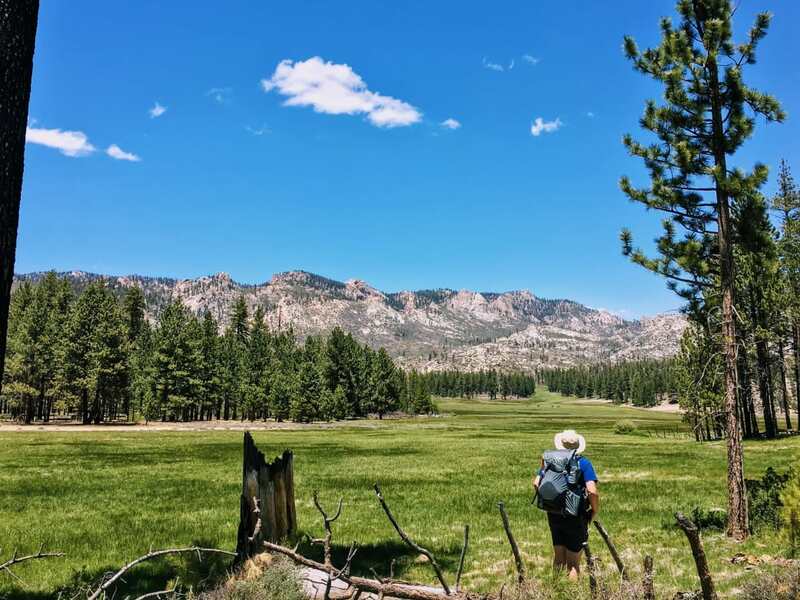 Lying nearly forgotten in the southern Sierra, however, is another stunning, yet largely untouched, landscape: Domeland Wilderness, dubbed "Yosemite’s Little Sister" because of its striking granite domes and idyllic meadows. Sitting at the southern tip of the Kern Plateau within the Sequoia National Forest, Domeland covers more than 130,000 acres of semi-arid mountains that gently give way to high desert, with the Kern River rushing through its heart. Spring or fall months are ideal times for a visit, but during winter—with its stunning blanket of white—you can all but guarantee solitude. No matter when you visit, though, you’re sure to lose yourself in the sprawling wilderness of rushing rivers, expansive green meadows, and soaring rock formations that pierce the sky like sentinels, all of which wait in the heart of this vastly unexplored wilderness. Another bonus? Wilderness permits aren’t required for day trips or overnight visits (but are necessary for campfires). Here, some highlights of an off-the-grid adventure into the dramatic backcountry of Domelands Wilderness. 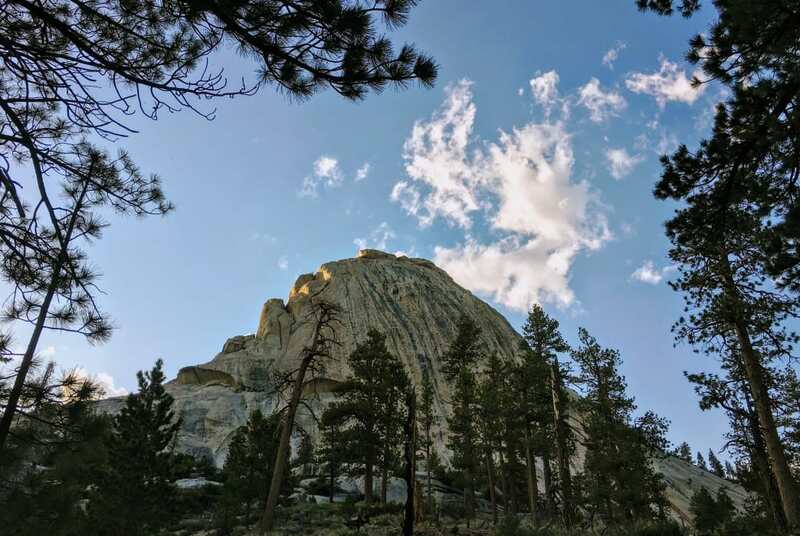 Hike north from Manter Meadow towards the Woodpecker Trail and you’ll be transported into a wide valley peppered with rock formations that draw to mind Joshua Tree and Yosemite Yosemite—and something out of a Dr. Seuss fever dream. A small creek tumbles down the western side of the valley toward Manter Meadow, while on the eastern side Tibbets Creek rushes toward the Kern River. Pinon pines pepper the hillsides and dense sagebrush grows around the base of the granite rock formations. Much of this area was burned during the Manter fire in 2000, and while the majority of the vegetation has since grown back, the trail can be faint at times. Using Manter Meadow as a base camp, hikers can set out on a day trip to explore this area and its many dazzling rock formations. Located along the western edge of Domeland Wilderness is the epic and wild Cannell Trail. Starting at 9,200 feet and dropping nearly 8,000 feet over the course of 25 miles, the ride is one you won’t soon forget. Comprised almost exclusively of single track, the Cannell Trail varies between smooth and buttery, and rocky and technical as it winds past mountain vistas and forested trails. From the start near Sherman Pass, you’ll climb up to 9,400 feet before dropping down toward Big Meadow, one of the most technical sections of the trail. 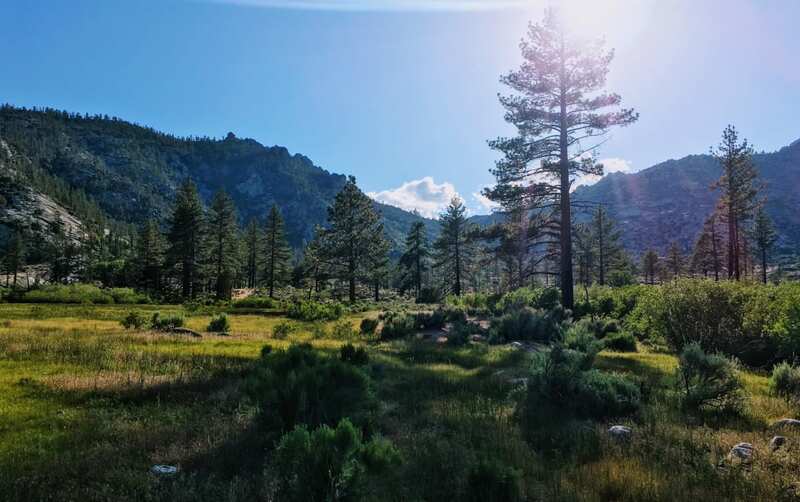 After Big Meadow, dig deep into some steep climbs to get past Cannell Meadow before reaching the trail’s nirvana: the Plunge, an eight-mile section of trail that drops 5,000 feet towards Kernville. The trail here is sweeping, fast, and fun, dishing up incredible views of Lake Isabella to the south. To get there, drive north from Kernville toward the summit of Sherman Pass. You’ll need to set up a car shuttle in advance, or you can pay for a camp and car service from Mountain and River Adventures located in Kernville. 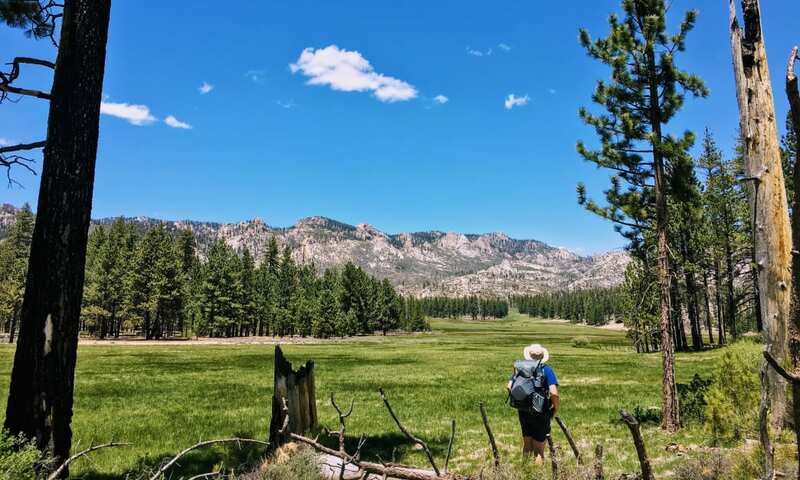 Located less than three miles from the trailhead at Big Meadow, Manter Meadow is an excellent spot for a mellow backpacking trip, with minimal elevation gain, lush green grasses wafting in the breeze, and a burbling stream running right past camp. Backpackers can enjoy views of the back of Church Dome while relaxing beneath the shade of Pinon pines. For those seeking a more remote section, Little Manter Meadow rests along Manter Creek in the base of a small valley. Rockhouse Meadow is deeper into the wilderness than either of the Manter Meadows, sitting along the flat waters of the Kern River. 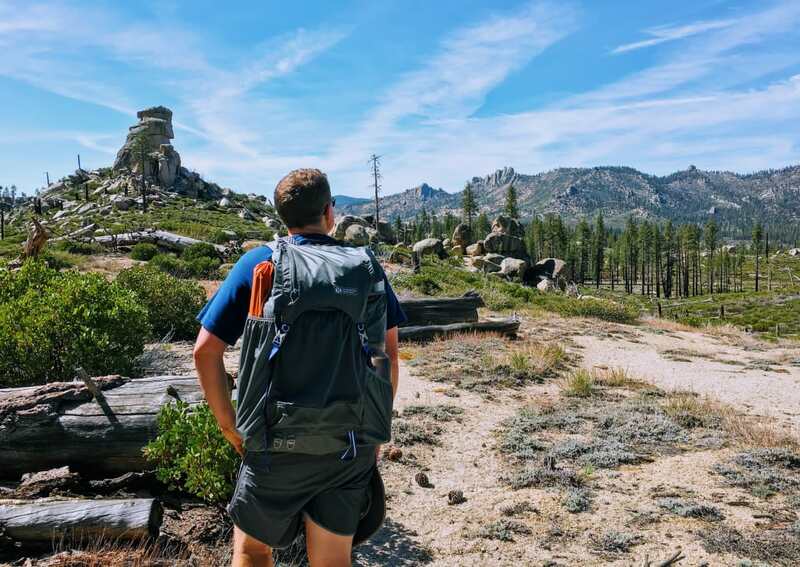 This area is home to the California black bear, so backpackers should be carrying a bear-proof container or know how to properly hang their food. The south fork of the Kern River runs through the heart of Domeland Wilderness, carrying snow melt from the high Sierras down toward the low desert in the south. Just north of Rockhouse basin, the river loops through the broad valley, creating abundant opportunities for fishing. Anglers can expect to see the native rainbow trout and Sacramento pike minnow, along with black crappie and the common carp, both of which have been introduced into the area. 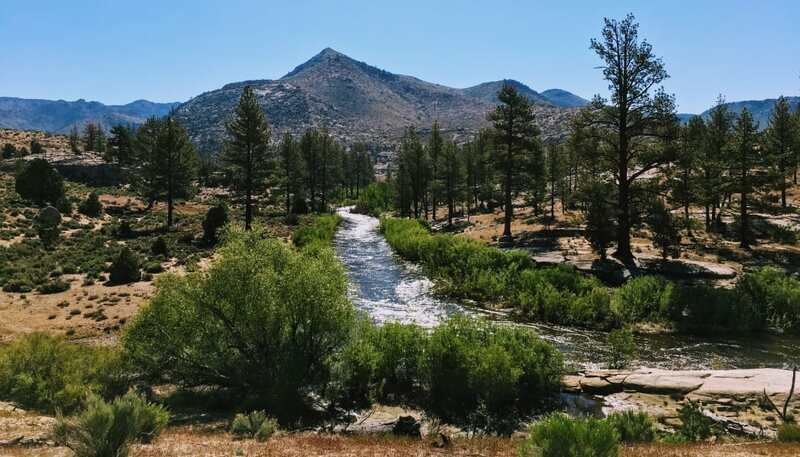 To reach the Kern River, anglers can hike overland 10 miles from the Big Meadow trailhead, following Manter Creek before descending through a steep valley that drops nearly 2,000 feet toward the river. The trail through this area is often faint, occasionally requiring hikers to wayfind. Once at the Kern River, you can spend days fishing and evenings star gazing around the campfire.